There is a new kid in school. He becomes interested in Sissi immediately and must therefore deal with Hervé’s animosity, but he can count on our heroes who like him for his sense of humour. 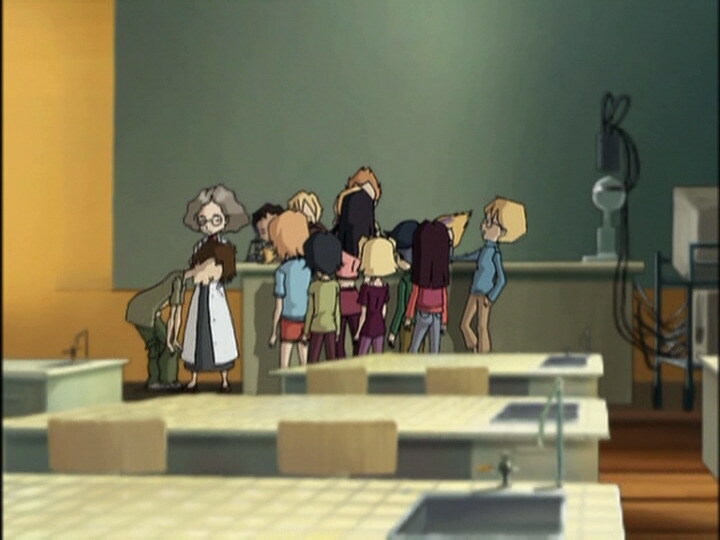 At lunchtime, the student-residents are subjected to a X.A.N.A attack in the canteen. The computer "infests" the metal-siding of the school’s walls and transforms it into an electrified prison cell. None can get in, no-one can get out. All the while, short-circuits are gradually destroying the metal-siding. 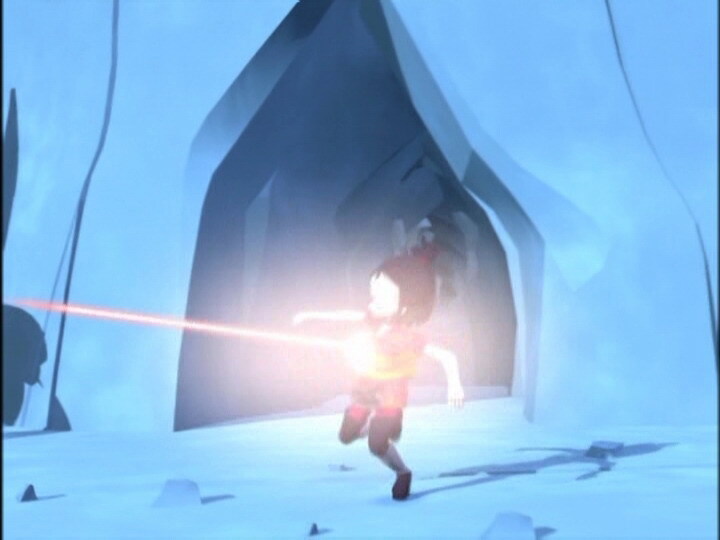 Only Yumi has the power to save her friends on Lyokô. The heroes are sympathetic for Theo, as Sissi submits him to a test in order to join her group… Herb attempts to bust Theo breaking the rules during this test, setting a trap for him… The teen makes a break for it when Kiwi, disguised as a ghost, chases him. The next day, the group laughs about the scolding Herb received from Sissi when she heard about the situation with Theo. Breakfast time arrives and all the students file into the cafeteria. 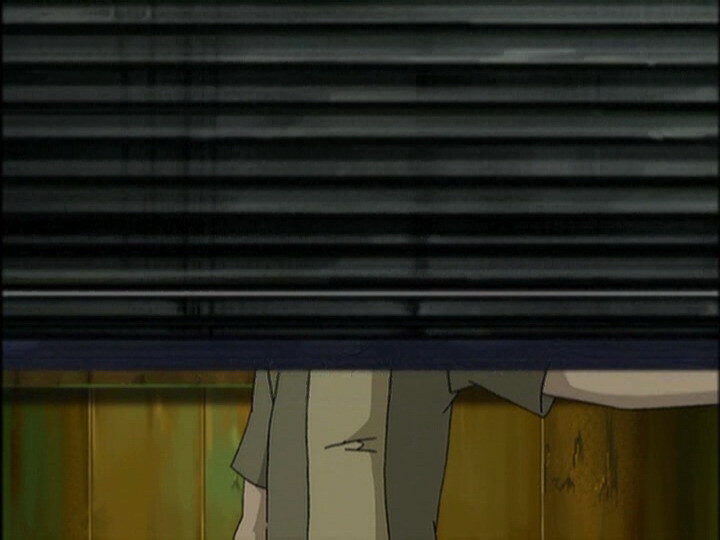 Jeremy, wanting to talk to Aelita, gulps his meal down in record time and leaves the building, accompanied by Yumi who hasn’t seen her friend in a while. 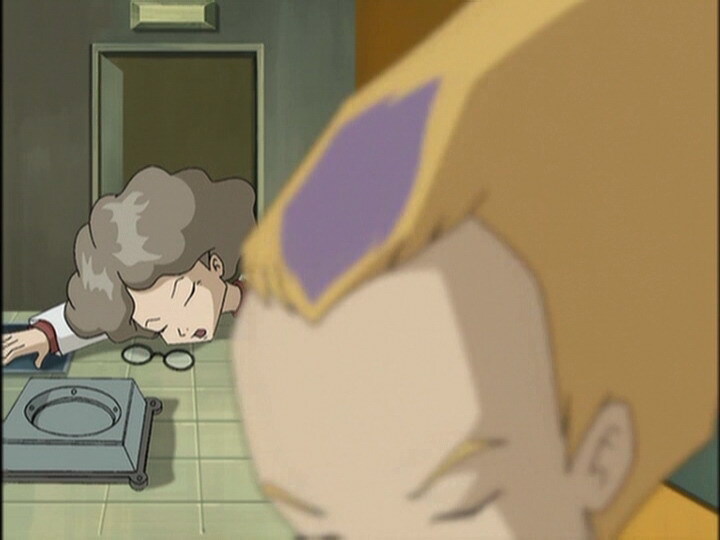 On Earth, the attack becomes even clearer: Odd tries to open the door and receives a powerful electric charge which knocks him unconscious… The outside is the same as the inside, it’s impossible to touch any part of the building without receiving a shock; the students are completely closed in and the building is likely to give way at any moment under the pressure of the electricity. If everything had worked as XANA planned, Yumi and Jeremy would also be stuck in the cafeteria with them. Jeremy sends Yumi to the Forest a fair way away from the tower, accompanied by Aelita. 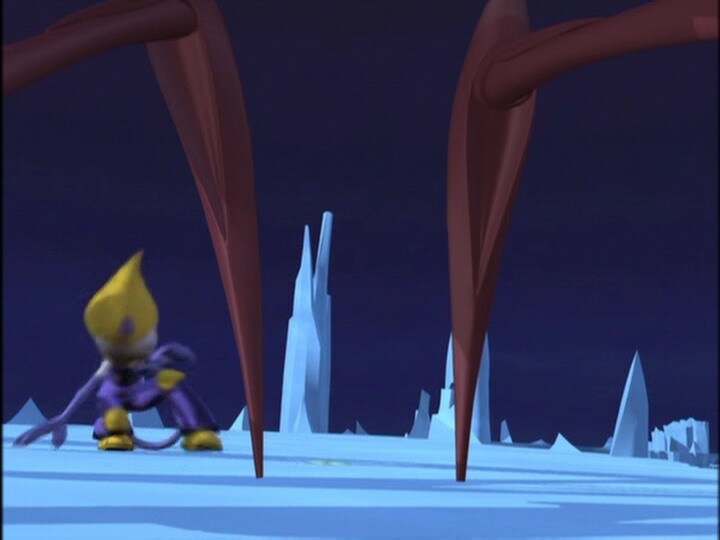 In the Forest Sector, Yumi fights with a Krabe and allows Aelita to enter the tower… On Earth, the building approaches total collapse as the students little by little begin to freak out…but the building doesn’t crumble under the electricity, as Aelita enters the code and saves them in time… The Return to the Past is launched and the building restored to normal. - Attack: Electrify the walls of the cafeteria, making it both impossible to escape and the walls ready to yield to pressure, which would make the building collapse. - Return to the past to erase the memories and damage from the attack. - New arrival at the school: Theo Gauthier! - Ulrich and Theo are very good at soccer. - Herb dreams of the day when he’ll kiss Sissi, he is also claustrophobic. - The halos of the Desert towers are absent when we see Aelita. 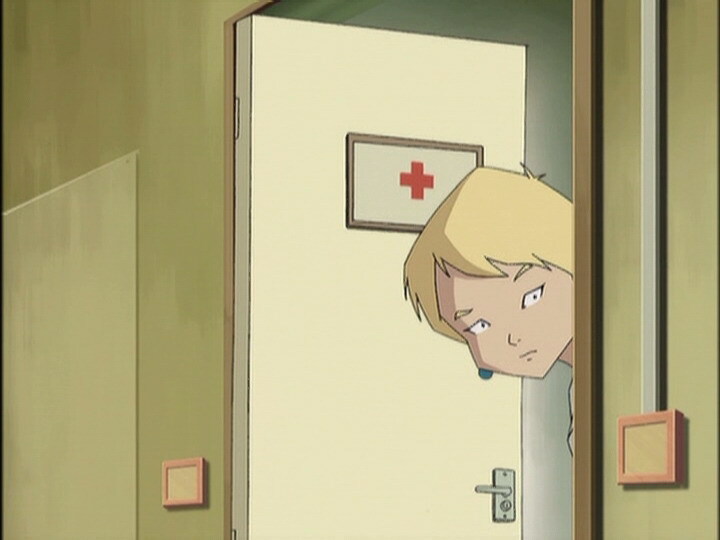 - The red halo of the activated tower disappears when Yumi tells Aelita to hurry to the tower. 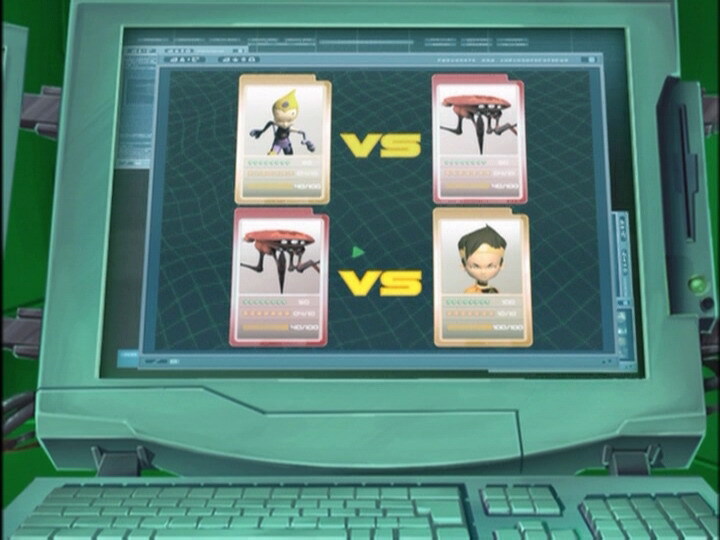 - Just before Aelita enters the Code Lyoko, her outfit is inversed. - At the moment when Jeremy climbs the ladder to the factory bridge, we see it’s night time, even though it’s during the day. - The factory microphone changes often (wired or wireless) and it disappears from Jeremy’s ear in one shot. - Ms Hertz’ skirt is white instead of black at the moment when Jim announces having cut the cables. - The marks under Sissi’s eyes disappear when Theo greets certain students and when she blushes. - Jeremy’s mouse pad appears after he says he loves the moments he has with Aelita. 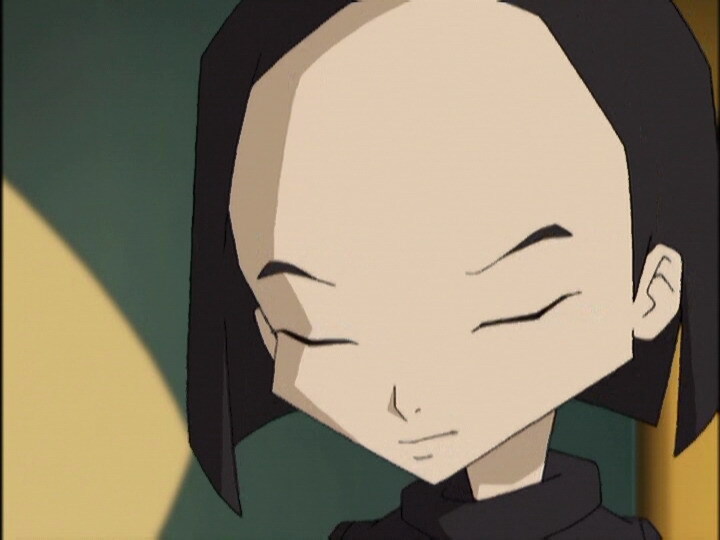 - At the moment when Aelita talks to Yumi and Jeremy, we can spot Ulrich’s hair, which is impossible because he’s in the cafeteria. - In a scene in the cafeteria, we see Theo with black hair instead of brown and the colours of his clothes inversed. - The principal’s eyebrows are grey just after Yumi opens the door to his office, when the fire fighter says “I doubt that” his moustache also turns grey and during the return to the past. - The marks under Nicolas’ eyes disappear when he and Herb watch Theo mummify the skeleton from the science room and at the moment when he and Herb are frightened, also Herb’s hair is entirely black at this moment and before they run away screaming. - When Yumi grabs her skateboard both the deck and the grip are red, when the grip should be black. - First time a monster destroys another. 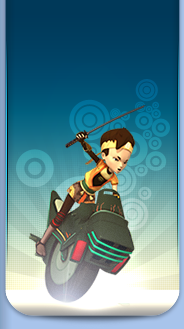 - Only episode in which Aelita levitates outside of a tower. - The activated tower is the same as in episode 13, “Just in Time”. - Herb wanted to call Jim to spring Theo but the use of phones is prohibited at Kadic, won’t he be at risk of being punished? Also, how does he have Jim’s number? - The episode title is Claustrophobia, which is the fear of being stuck in small, confined spaces. 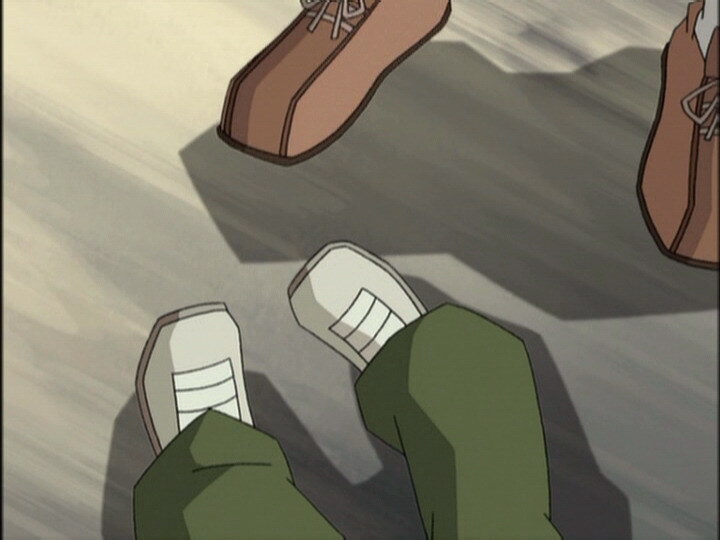 Aelita: And…is resting something you like doing? Jeremy: I used to find it really boring, but ever since I met you Aelita, it’s such a pleasure hanging out together! Sissi: Hi, my name is Sissi! And these two friends of mine are Herb and Nicolas, the worst soccer players you ever saw! 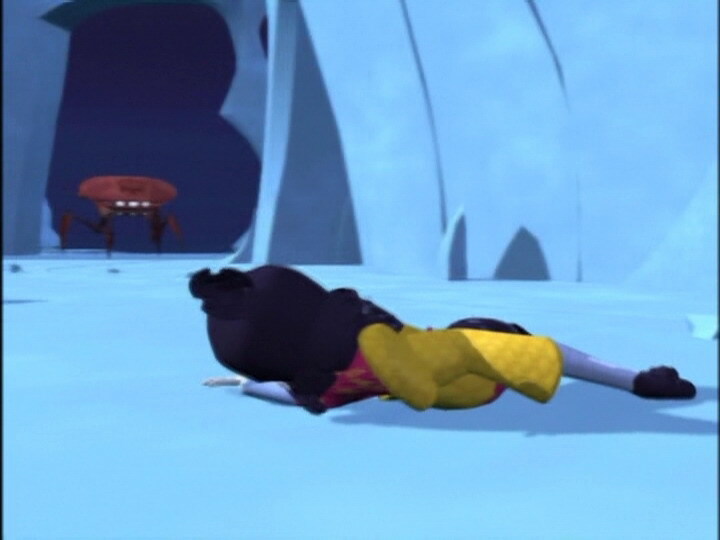 Herb: Hey, stop trying to worm your way in! You’re not in our group, so go take a hike! Theo: Oh, yeah, I know, Herb, but I’d love to join your group! Or should I say, Sissi’s group? Is that it? Well what do I have to do? 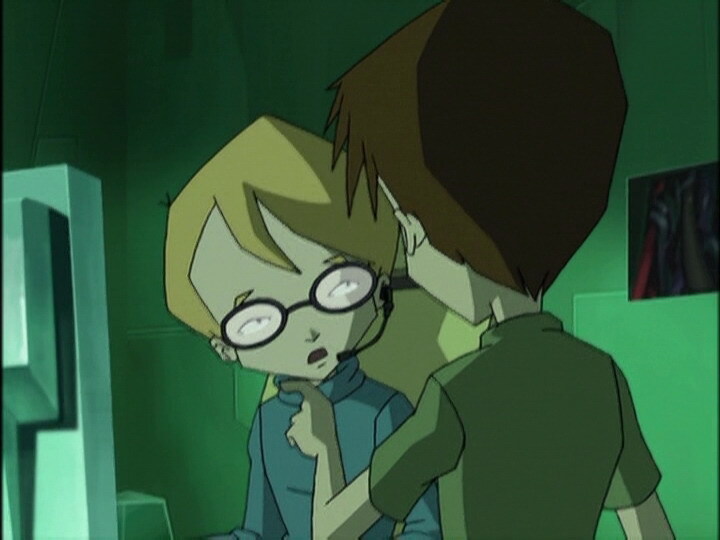 Herb: Well you’ve gotta pass our initiation tests and they’re really dangerous and hard! Much too hard for you! Odd: Leave your trays, it’s a shame to let good desserts go to waste! Jeremy: Odd, don’t you ever stop eating? Huh? Ulrich: Odd, you’re gonna explode if you keep this up! Herb: I GOTTA GET OUT!!! Herb (to Theo): Thanks for what you did before…I was pretty awful to you.